I'm hoping to use a garden/forest theme for my wedding. I have some large pieces of rectangular driftwood that I have turned into makeshift planters and I was hoping to use moss, some variety of succulent, and maybe a small airplant in them to really set the tone of my reception. Do you have any recommendations as to which types of succulents I should purchase? They would have to be house friendly, as I live in Labrador, Canada - very unfriendly growing environment. Also (and be prepared for the stupidity of this question) are there any succulents which have an orange hue? Hi Kate, your project sounds intriguing to say the least. I'm fascinated with driftwood and rustic looking things made into unique displays, especially for weddings. 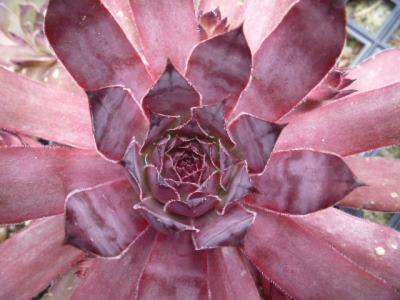 Have you given any thought to hardy succulents such as Sempervivum? Many of those have a spectacular range of colors, yes, including orange. They can be left outdoors all year even in your climate, as they are incredibly hardy and can withstand the most challenging of conditions. You can see more about using these for wedding flowers here on the Succulent Wedding Gallery, and find out more about Sempervivum for wedding favors and centerpieces. I highly recommend these for places that are challenging, and for non-gardeners because you don't have to fuss with them at all. Hope that inspires your creativity!